We’re all familiar with the term “Hollywood smile” – the beautiful, straight, white, perfect smiles that grace our screens and glossy magazines. But not all celebrities are born with the perfect smile – they need the help of a specialist orthodontist. It’s not the most likely of accessories you’d expect the rich and famous to be sporting, but orthodontic treatment is the go-to for many of our famous friends. Delta Goodrem, Gwen Stefani, Niall Horan, Serena Williams and Kylie Minogue are just a few of the celebrities with braces whose life-changing orthodontic treatment to fix crooked teeth or overcrowded smiles gave them their confident “Hollywood smiles”. 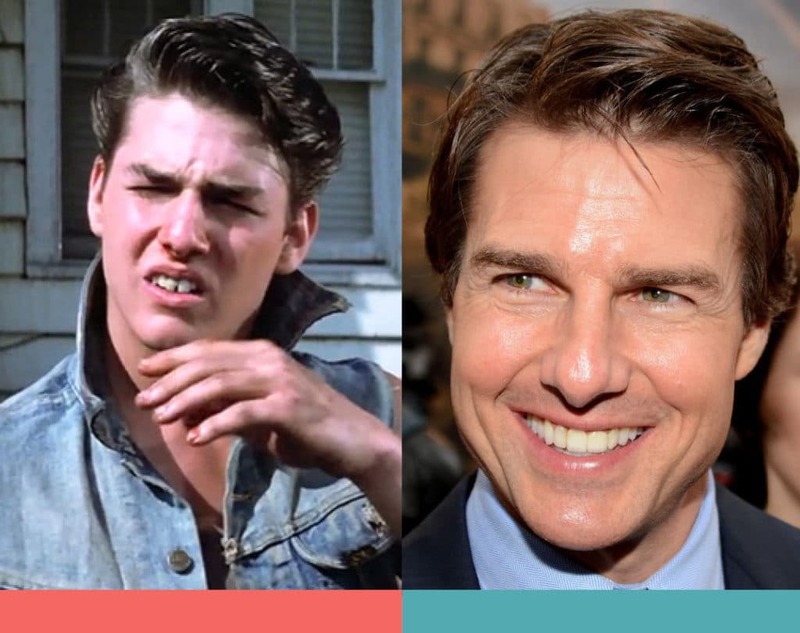 From rocking traditional metal braces a-la Gwen Stefani, to less-visible ceramic see-through braces as sported by Tom Cruise, there are orthodontic treatment options to suit everyone and every lifestyle. Invisible or lingual braces attached to the inside surfaces of your teeth are a popular option, and clear plastic aligners such as Invisalign® are often worn by celebs looking for something more discrete (as seen on red carpet royalty including Katherine Heigl, Justin Bieber, Khloe Kardashian and Zac Efron). She is such a fan of orthodontic treatment that Kendall Jenner had braces not once, but twice! The up-and-coming model and daughter of Kris and Caitlyn Jenner had her first set of braces when she was 13, and went on to have clear aligner treatment when she was 17. Thanks to the help of her orthodontist, she now sports a beautiful, straight smile! The former Neighbours star and singer-songwriter who is now a judge on hot television show, The Voice, Delta Goodrem first had braces when she was 13 years old, before she got her big break. The photo above was taken during one of her first photo shoots, when she was described by her photographer as being ‘a bit of a shy girl’ at the time. Since then, Delta’s confidence has grown, along with her gorgeous straight smile, and she’s now a familiar Aussie face and international household name. Supermodel Cindy (now 50 years old!) had old school, chunky metal braces back in the 70s to fix her overbite and crooked teeth. In 2013, she shared with her followers a family photo of when she was a teenager – complete with braces and home-made dress – proving that, like many of us, she wasn’t born with a Hollywood Smile! As a young up-and-coming model, Cindy Crawford decided to have her braces fitted again, this time for a Pepsi commercial, and her career (and smile) has been shining bright ever since. Even Hermione has benefited from orthodontic treatment! When Emma’s acting career started taking off after being cast as Hermione in the popular ‘Harry Potter’ series, Emma Watson decided to fix her moderately crooked teeth and achieve a beautiful smile with the help of an orthodontist. Although the spellbinding actress wore traditional braces for a while, she could have also been treated very successfully with clear aligners. Tom has one of the most famous smiles in showbiz, but he started his career with discoloured, broken, missing and misaligned teeth. Over the years he’s had numerous orthodontic and cosmetic dental procedures to camouflage his complex problems. In 2002, gossip magazines were awash with photos of Tom Cruise at age 40 sporting ceramic braces in order to fine tune his smile and bite. 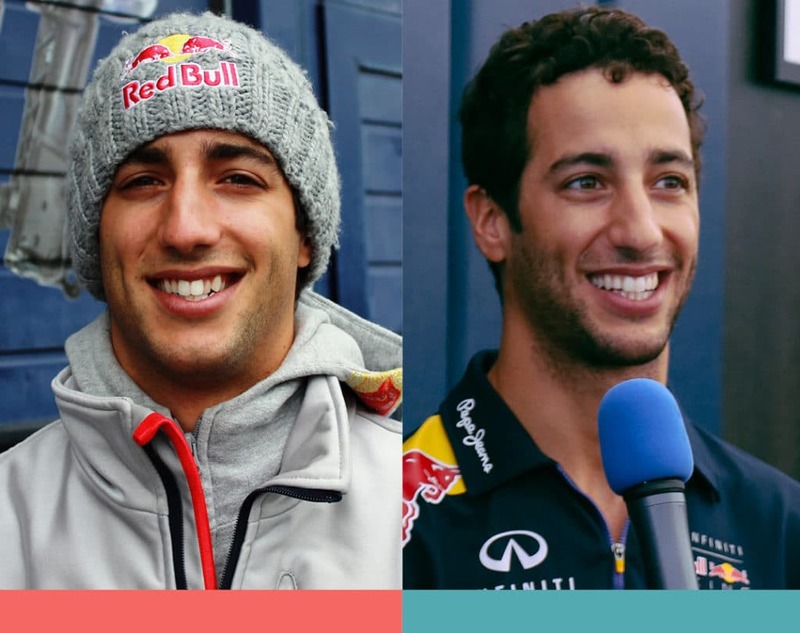 Despite all of the dental work he’s had over the years, Tom remains quite notorious in dental and orthodontic circles for his residual smile asymmetry. If you look closely, you’ll notice that his upper front teeth are shifted to the left of his facial midline. It just goes to show, there are some minor cosmetic imperfections that simply have to be accepted, no matter how famous you are! When it comes to braces, price might not be a consideration for our famous friends, but you don’t need to be on a celebrity salary to get your own perfect smile. With advanced treatment techniques, private health insurance and payment plans, your perfect smile is just around the corner. So whether you’re considering traditional braces or a more invisible alternative to braces, only an orthodontist has the training, experience and expert knowledge to be able to offer you the full suite of treatment options and give you the confidence you’re in the best hands. Book a consultation with an ASO member orthodontist to find out which is right for your treatment needs and lifestyle. Check out how much the big TC has changed!